You are here: Home > Student Announcements > Experience MBA life in a prestigious Japanese university for a semester! 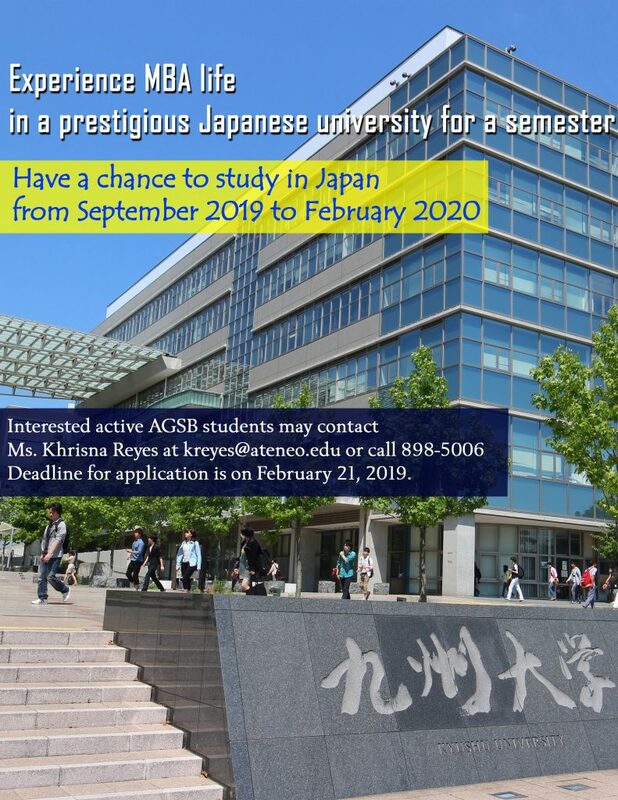 Experience MBA life in a prestigious Japanese university for a semester! Orientation for the Summer Exchange Program will be on 21 February 2019, 6:30pm at the Ground Floor, Amphitheater.